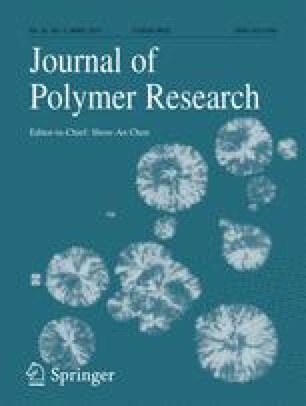 Very few studies have investigated on the blending of small molecules in the commercial biobased polymers with shape memory behavior. Herein, we investigated the shape memory properties of natural rubber and carnauba wax (S-NR/CW = 8:2, 6:4 and 5:5) melt-blends and nanocomposites vulcanized with sulfur/accelerators, using the melting temperature of wax as the switching temperature. With the addition of multi-walled carbon nanotube (CNT), the prepared S-NR/CW-CNT nanocomposites can not only enhance the mechanical properties but also enhance the shape fixity ratios, attributing to the unexpected improved dispersion of CW and the increased crystallinity of CW. In the one-way test, the shape fixity and recovery ratios for S-NR/CW/CNT 5:5 nanocomposites could reach up to 99.6% and 97.3% in the third thermomechanical cycle, respectively. In addition, CNT could be selectively and remotely heated by irradiation with near infrared laser to trigger shape memory process in a very short time. The additional paraffin wax was also blended with carnauba wax to form the wax mixture for preparing multi-shape memory behavior to exploit the various types of waxes with different melting temperatures (supplementary file). To the best of our knowledge, this is the first small molecule-filled NR nanocomposites with remotely-triggered shape memory properties. The online version of this article ( https://doi.org/10.1007/s10965-019-1742-4) contains supplementary material, which is available to authorized users. A grant-in-aid from the R.O.C government under MOST 105-2221-E-197-027-MY3 is greatly appreciated. The authors are grateful to Mr. Yi Cheng Hsieh for his manuscript preparation.